The CIA has a recording of a phone call in which Saudi Crown Prince Mohammed bin Salman gave instructions to "silence Jamal Khashoggi as soon as possible", a Turkish news website has reported. Gina Haspel, CIA director, is said to have revealed the existence of a wiretapped call between Prince Mohammed and his brother Khaled bin Salman, who is Saudi's ambassador to the US, to Turkish officials during a visit to Ankara last month, according to 'Hurriyet'. 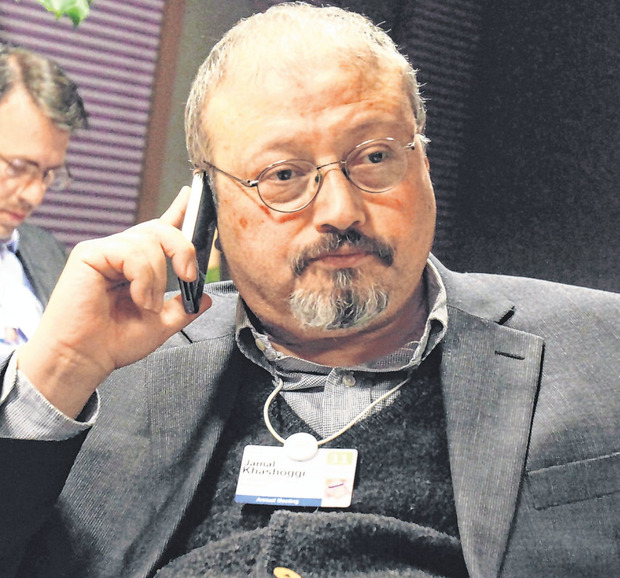 "It is said that the crown prince gave an instruction to silence Jamal Khashoggi as soon as possible and this instruction was captured during the CIA wiretapping," 'Hurriyet' columnist Abdulkadir Selvi wrote yesterday. "The subsequent murder is the ultimate confirmation of this instruction." The brothers are reportedly heard talking about the "discomfort" caused by the 'Washington Post' columnist's criticism of the kingdom's administration. If confirmed, the wiretap could call into question Washington's official claim that they have found no evidence to support accusations the murder was ordered by the prince, Riyadh's de-facto leader, himself. The leak comes days after American President Donald Trump signalled his support for Prince Mohammed, in a statement which declared he would not further punish Saudi for the murder. In an extraordinary statement subtitled "America First!" Mr Trump said on Tuesday that "our intelligence agencies continue to assess all information, but it could very well be that the Crown Prince had knowledge of this tragic event - maybe he did and maybe he didn't!" He has since faced calls from members of his own party to re-evaluate ties with the ultraconservative kingdom, but Mr Trump has said the benefits of a good relationship outweigh the possibility its own prince ordered the killing. The Turkish media has published a drip-drip of leaks of information since the news of the Mr Khashoggi's death in early October, designed to put pressure on both Riyadh and the US to respond. Riyadh initially remained silent about the 59-year-old columnist's disappearance, before claiming that he left the consulate after a short meeting with officials. They then changed their story several times, later claiming that Khashoggi was killed by mistake in a "fistfight" gone wrong. They admitted earlier this month that he was killed and dismembered after attempts to persuade him to come home failed. Saudi yesterday warned criticism of the prince was a "red line". Foreign Minister Adel al-Jubeir told the BBC that calls for MBS, as he is nicknamed, to be held accountable for the killing, "would not be tolerated", nor would discussion of "anything disparaging". Federica Mogherini, the EU's top diplomat, said yesterday all those "really responsible" for the murder of Mr Khashoggi have to be held accountable. Mr Trump's stance has exposed a foreign policy rift in the Republican Party, as some of his colleagues warn that not punishing the kingdom for its role in killing a US-based columnist will have dangerous consequences. 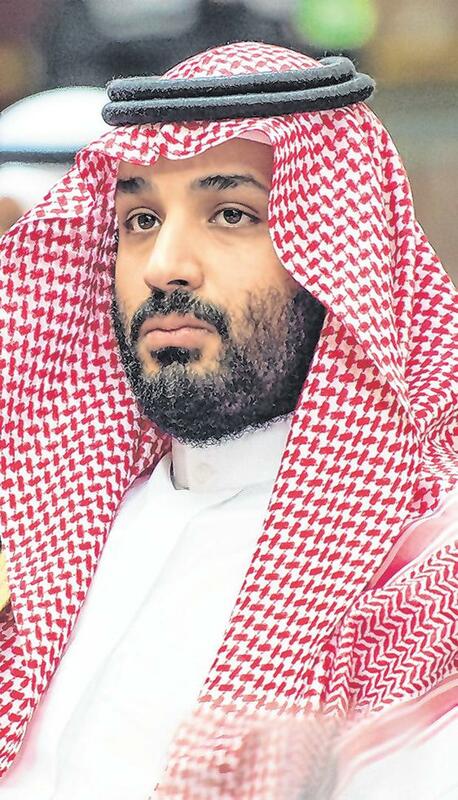 Many Republicans, even senators Lindsey Graham and Rand Paul, who share their views on the matter with the president, have denounced Mr Trump's decision not to levy harsher penalties on Saudi Crown Prince Mohammed bin Salman over the death and dismemberment of Mr Khashoggi inside the Saudi Consulate in Istanbul. Senator Bob Corker, the Republican chairman of the influential Senate Foreign Relations Committee, said on Wednesday he was "astounded" by Mr Trump's statement and likened it to a press release for Saudi Arabia.